Responsible for the cultivation and care of the landscaping and grounds surrounding a business or building. Plants flowers, mows, pulls weeds, repairs structures, and maintains outside of building. Perform groundskeeping and building maintenance duties. Mow lawn either by hand or using a riding lawnmower. Cut lawn using hand, power or riding mower and trim and edge around walks, flower beds, and walls. Landscape by planting flowers, grass, shrubs, and bushes. Apply pesticide to rid grounds of pests such as mosquitos, wasps, ticks, and others. Apply fertilizer to ground to enhance growth. Shovel snow from walkways and sprinkle ice down to keep people from falling. Perform routine maintenance duties such as applying plaster, fixing fountains, and other duties. Cut down tree limbs that are posing a danger. Trim shrubs and pull weeds. Perform minor repairs and maintenance procedures on equipment utilized in groundskeeping. Rake, mulch, and prune the grounds as needed. Install rock, cement, lighting, water, and furniture. Water plants and grass as needed and apply fertilizer. 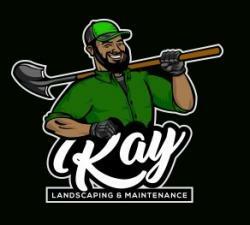 Ray's Landscaping, LLC is a professional, full service landscape construction and maintenance company that has been serving The Bahamas since 2017. We pride ourselves by providing professional, dependable, and exceptional quality of service to all our customers no matter how large or small the job may be. We strongly emphasize customer satisfaction. We work very closely with all of our customers to make all their landscape dreams a reality.